Join us for our Free Friday Floats! 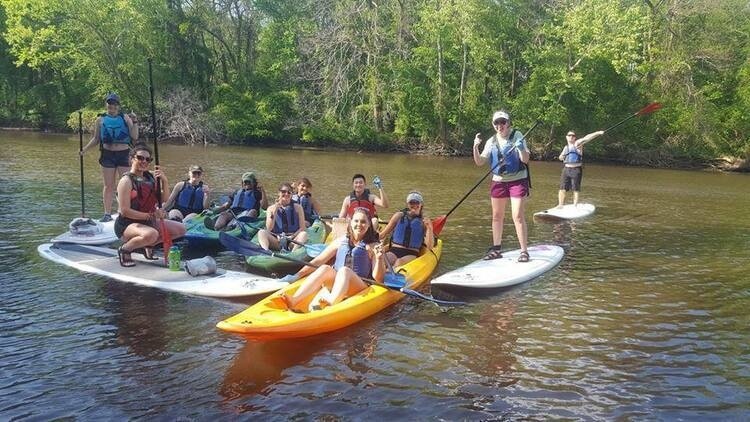 Come enjoy the weather and take a break from classes while we float down the Tar River. No prior experience is needed, the only thing you should bring are clothes and shoes that can get wet, a water bottle, sun screen and bug spray, as well as some friends!